Confirming rumours from earlier in the week, developers Ninja Theory have now officially confirmed that their new game Hellblade Senua’s Sacrifice will not be launching during 2016, but it’s launch date has now been pushed back into 2017. What’s the production update video embedded below to learn more about why the December 2016 launch date has now been pushed back into 2017 together with a taste of what you can expect from the final game when it launches. An independent game from Ninja Theory – makers of Heavenly Sword, Enslaved: Odyssey to the West & DmC: Devil May Cry. 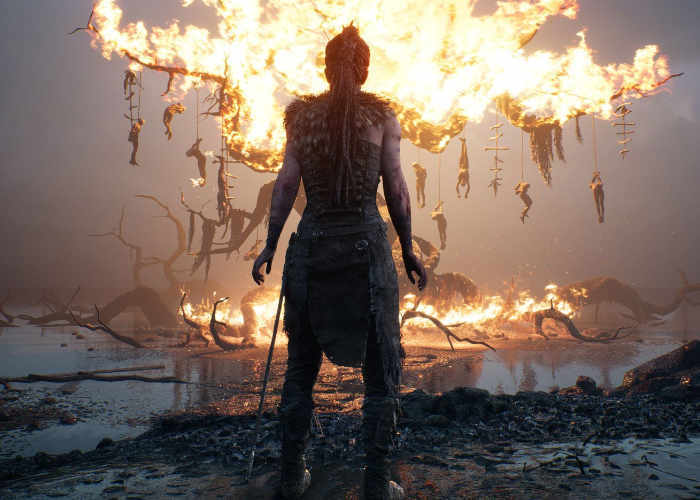 Hellblade: Senua’s Sacrifice takes you on a journey into savage viking heartland with Senua, a Celtic warrior struggling with trauma & psychosis. A brief update on the production of Hellblade: Senua’s Sacrifice. Hellblade: Senua’s Sacrifice will be coming to PlayStation 4 and PC in 2017. Journey in the dark brooding world of Senua – a warrior at her wit’s end – as she travels the land in search of redemption and reconciliation. Explore the very heart of trauma and sacrifice as you move through the Viking heartland, combating savage adversaries. A deeply personal story charting the true struggles of a sufferer of psychosis, Hellblade utilizes cutting edge technology to create a world and protagonist that feel both truly tangible and believably harrowing.